At many schools, you will find a commitment to educating the mind, body and soul, and at first that sounds good. High School girls basketball is a popular sport in the winter season. But I believe they have it backwards. At Holy Family Academy, we view athletics as part of our overall commitment to helping our students develop their soul, mind and body — in that order. In other words, our academic and athletic programs are designed not as ends themselves, but rather to support the development of our students’ eternal souls. 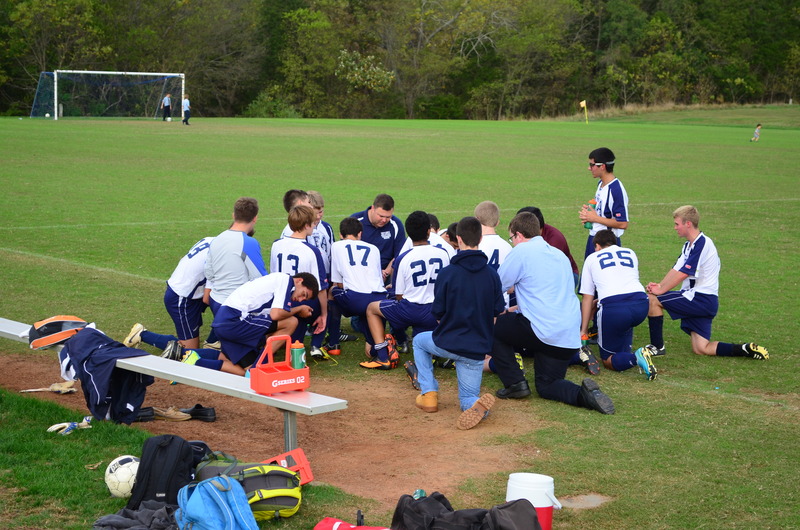 High school soccer players kneel in prayer before a game. It is with that in mind that we begin and end each practice with a prayer, and while we strive for excellence in competing to win, we know that competing as young Christian men and women to the best of our abilities is far more important than any win-loss record. Fortunately we have been able to do that and win in recent years! Holy Family Academy begins our athletics program in our lower school with opportunities for all students in grades K-5 for both unorganized and organized recess activities. 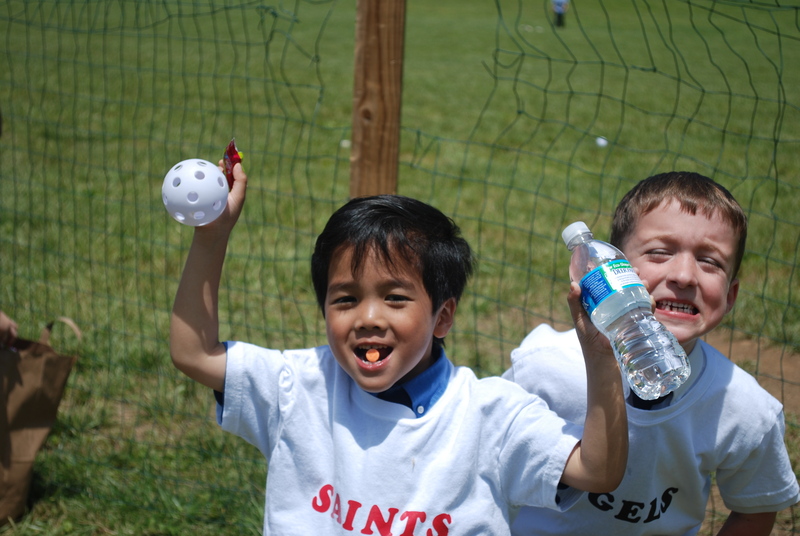 Kindergartners at a “Saints” vs. “Angels” wiffle ball game. In our upper school, our junior high (grades 6-8) and high school (grades 9-12) students compete in boys soccer, basketball and baseball, and girls cross country, basketball and soccer. Our upper school athletic calendar is below and more information on our teams is available on our athletics website at HFAathletics.com.